Soft Contact Lenses - Where do we go now? I was at a meeting recently where the topic, ‘where do we go from here in soft contact lenses’ was discussed. This reminded me of a number of observations that I have made over the years of seeing soft lens wearers and it brought up a few points that I think are worth exploring. Here is a summary. The softness of the material in soft lenses is quoted in many manufacturers’ lens descriptions, with what seems to have been a race among them to the lowest number in modulus. However, lower modulus just means that the lens will conform to the shape of the cornea and sclera easier if the flexure factor is low enough, which is ideal for mass produced lenses—that way the same base curve will fit more corneal shapes. But it is not a solution to the problem, and it may affect tear film exchange (see later in this column). Actually ‘fitting’ the lens to a cornea is the way to go. Lens diameter and movement are linked to each other, but for many lens designs only one diameter is available and it’s a ‘take it or leave it’ proposition when fitting a patient. This reduces the success rate, in my view. Now we get to what we do not know. Many years ago Hamano wrote a book about the physiology under a contact lens. He brought up a few points that I feel should be further explored. One was that on inserting a rigid PMMA lens in the eye there was an almost immediate drop in pH. Many years ago in the late 70s I was doing some extended wear fitting using a 75% water content lens. I noticed that patients were coming back for their check-ups with lenses that were tight, even though they had originally been fitted slightly on the loose side. I am not convinced that this was due to a lack of tears. I knew that the material was pH sensitive, and so I measured the patients’ tear pH on removal of the lens. In almost all of the patients, the pH had dropped from 7.4 to 6.8 or less. I know this is not a very scientific study, but it told me that there was something going on there. Could the pH drop be one of the reasons for the 5 o'clock dry eye feeling? Most patients know immediately if the pH of a solution is not correct for their eyes, as a comparison. Add to this that we do not know the volume of tears exchanged under a soft lens. It has always been assumed to be about 2%, but I would like to know how this figure was derived and whether it applies to present day designs and materials. Furthermore, do we get the same tear exchange in the middle of the day and at the end of the day? Is this further compromised by the low modulus of the lenses? If we fit an RGP lens that does not move, it adheres to the eye. The mechanism is that the tears evaporate around the edge meniscus and the tear film under the lens is pulled out to replace the lost meniscus. This thins the tear layer until there is a micro layer under the lens, which creates a negative pressure that may pull the lens into the cornea. Does a similar thing happen with soft lenses but in a less impressive process? We do know that tears evaporate faster from the surface of a soft lens (Hamano claims 30% more) than from a naked cornea. As silicone is not a very good conductor of heat, is there a small but significant heat buildup under a soft contact lens or does the increased evaporation reduce the temperature under the lens? Lastly, are there any osmolarity changes occurring under the lens depending on the time worn and the type of lens fitted - i.e., water content, oxygen permeability, surface properties, flexure, etc.? What is the Role of Lens Fit in Optimizing Corneal Physiology﻿? We now have 40+ years of soft lens wear experience, and I do know that there are corneal changes in patients who have been wearing lenses for many years (although this is not the case in all soft lens wearers). But we still don’t know the answers to many of the questions raised above. So first of all, there is a need to further understand corneal physiology in soft lens wear. And secondly (and crucially from a clinical standpoint), what is the role of lens fit in optimizing corneal physiology? I wouldn’t be surprised if there is a contributing factor and that we should re-evaluate the way we fit soft lenses today. 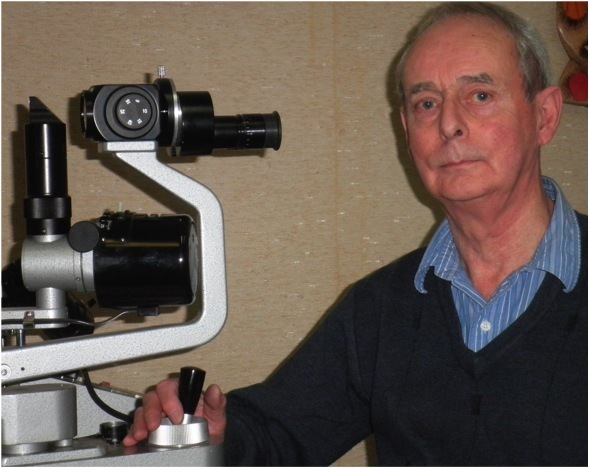 Mike Stoker graduated from The Manchester College of Science and Technology in the United Kingdom as an Ophthalmic Optician in 1962, after which he entered private practice﻿ and became a fellow of the British Optical Association. Since moving to Canada (CA) in 1968, he is involved in both fitting and manufacturing of contact lenses. Presently he owns a small custom manufacturing facility in Toronto (CA), making soft and RGP lenses. He has lectured across Canada and in the United States and has served as the President of the Ontario Contact Lens Association (CA). Currently he is on the of directors of the 20/20 NSERC Ophthalmic Materials Network - a four university consortium of investigators, developing new materials for the Ophthalmic world.